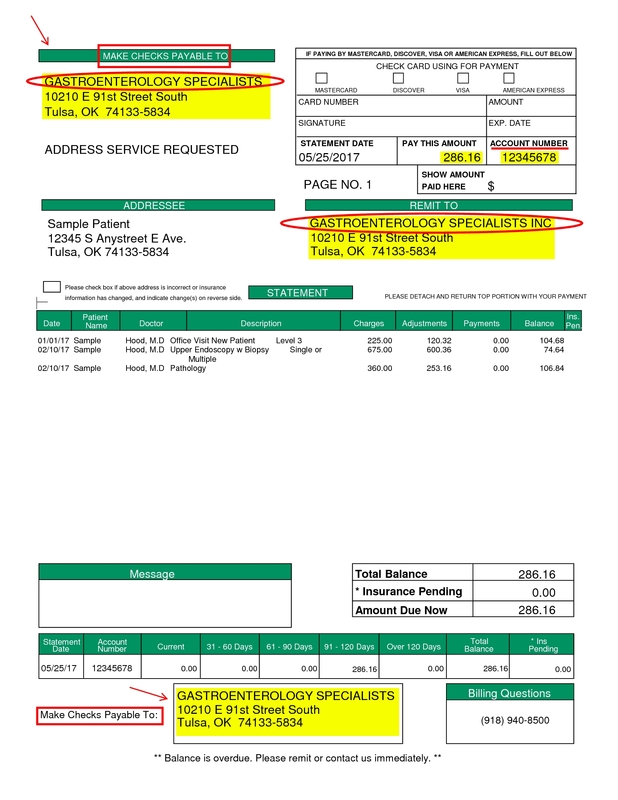 Make Payment - Gastroenterology Specialists, Inc.
To determine if you need to pay Gastroenterology Specialists or GSI Ambulatory Surgery Center, click on the example statements below and compare with the statement(s) you received by mail. When you see a GSI physician for a consultation or office-based treatment, you will receive a statement from Gastroenterology Specialists. 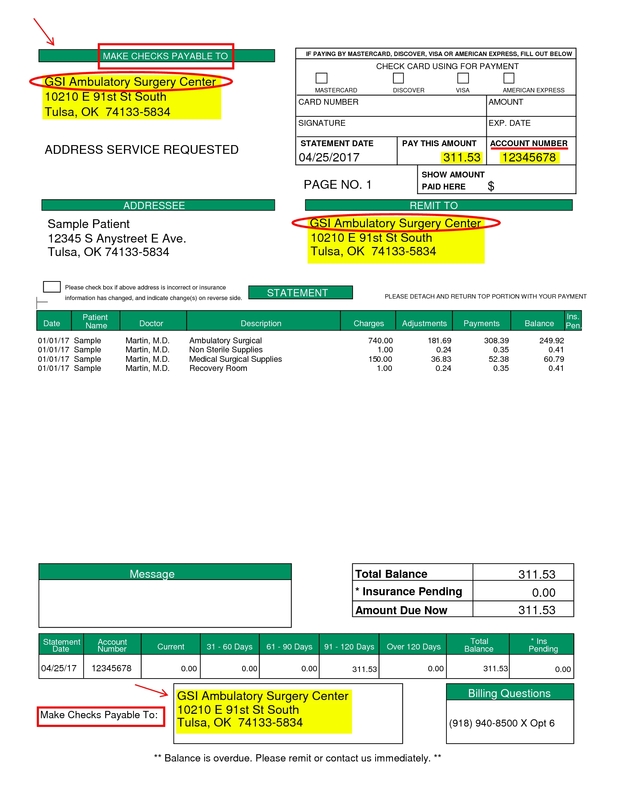 If you have a procedure at GSI, you will also receive a statement from GSI Ambulatory Surgery Center. Gastroenterology Specialists and GSI Ambulatory Surgery Center are two separate entities in one building.